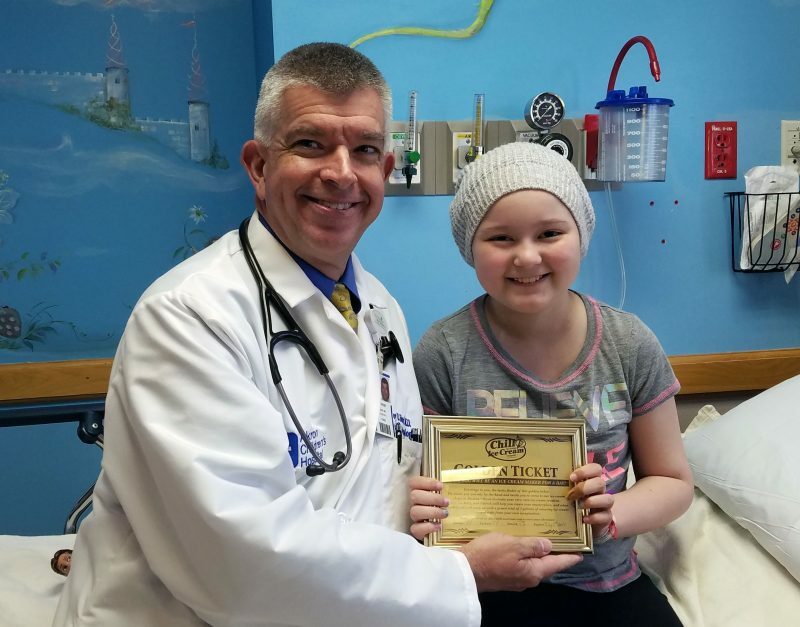 Dr. Jeffrey Hord presents Eva with the winning Golden Ticket. 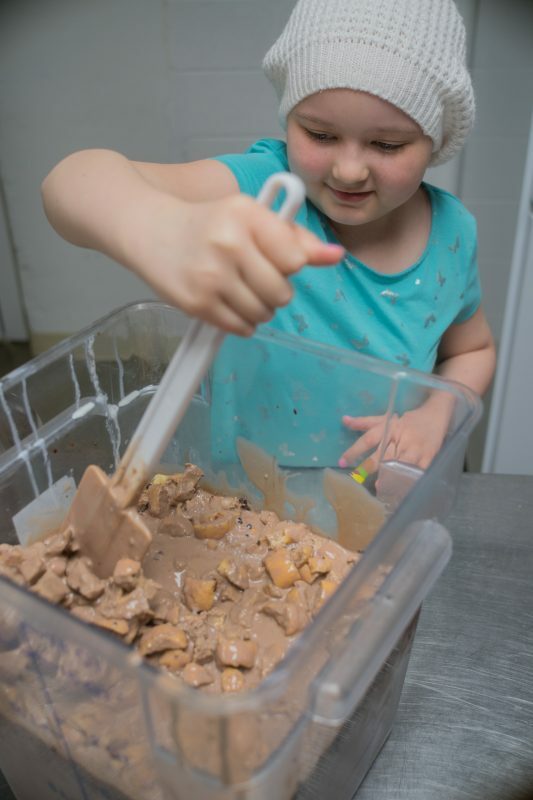 It may not be a chocolate factory, but cancer patient Eva DeVenture enjoyed a Golden Ticket Experience at Chill Ice Cream in Akron. 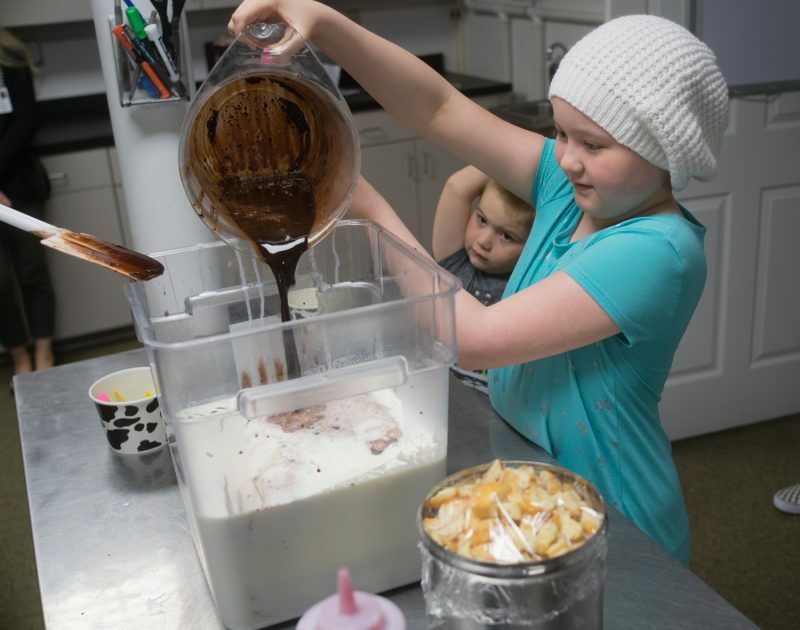 The 10-year-old from Tallmadge combined the key ingredients to make 3 gallons to take home. How cool is that?! Making the chocolate: cocoa, water and sugar. Adding the chocolate into the cream. Adding the glazed donuts into the mixture. 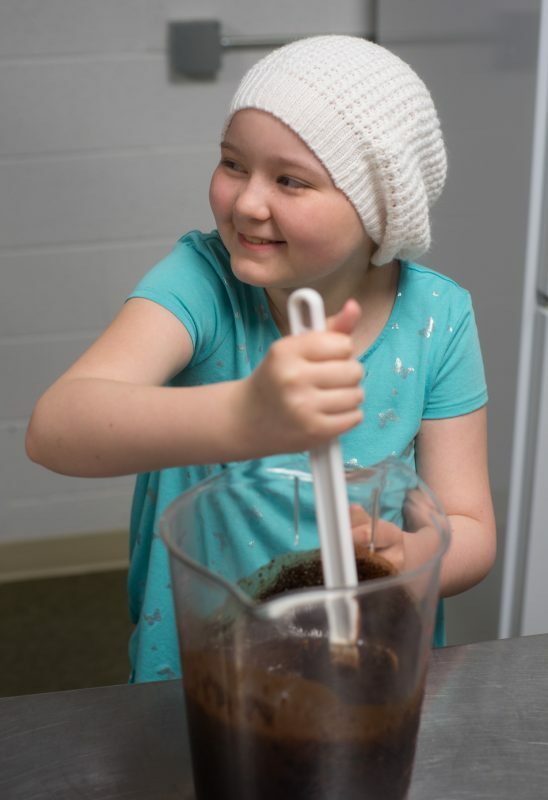 During a contest for patients in our Showers Family Center for Childhood Cancer and Blood Disorders, Eva designed the winning flavor – Chocolate Raspberry Donut: chocolate ice cream with fresh raspberry-filled donuts pureed into the mix. It will be sold during the month of May at Chill with proceeds benefiting the department. Soon, patients from other clinical departments will get to compete for a Golden Ticket Experience too.